Apple is perhaps the most innovative company in the world, but how has it achieved such success and what is its approach to design thinking and innovation? 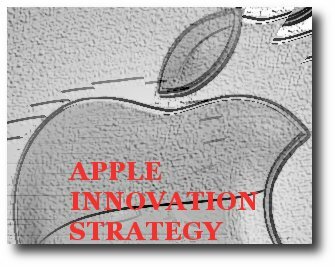 This case study highlights the ingredients of Apple’s success and its strategy to innovation. In August 2011, Steve Jobs (Steve), Apple Inc.’s founder and CEO announced his decision to resign. Stock prices fell more than 5% with Apple’s most recognized person leaving behind a legacy of innovation, a process he had begun after rejoining the company in 1997. Steve’s passion for building great breakthrough products like the iPod, iPhone and iPad with elegant, minimalist design had made Apple an icon for innovation. Without Steve, many felt that the company would struggle while CEO Tim Cook felt that Apple would continue to innovate and not just survive, but also succeed. However, with or without Steve, the challenge that Apple faces will be the same – Innovate and build breakthrough products because customers buy Apple products not because of Steve Jobs, but because they are breakthrough innovations that have translated into sales. Apple’s R&D spending: Contrary to belief, Apple spends very less on research and development. An estimate suggests that the company spends only 3% of its revenues on R&D. In Q1 2012 as well, Apple spent $758 million on R&D much less than its competitors Microsoft, Nokia and Google.